Announcing the winners of the inaugural ‘Win a Car with L’Oréal Professionnel & Smartbond’ competition. Launched in August of 2018, this dynamic partnership between L’Oréal Professionnel and Citroën offered one lucky stylist and consumer the opportunity to win a Citroën C3 – with every in-salon service performed between August 1 and October 31, 2018. A prime conversation starter, the competition was conceived to assist hairdressers looking to discuss the brand’s Smartbond services with their clients. Driving away in their luxe new Citroën C3’s are hairdresser Joanne Ryan of Deusenberg Hair Salon, Baylwin and her client Debbie O’Halloran. Of the win, Joanne enthused; “I love colouring with Smartbond; it allows me to push the limits creatively as a colourist. It’s a real win-win”. 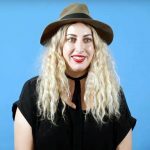 Bringing the partnership to life, L’Oréal Professionnel teamed up with a host of it’s top hair artists and digital influencers to create a series of Smartbond hair transformations at the L’Oreal Training Academy in Sydney. Dream duo Damien Rinaldo and Adriana Marmino of Boris the Cuttery SA, tended to the locks of model slash influencer Ellie Gonzalves – using Smartbond’s coveted bond strengthening system to take her from brunette to a striking Californian Copper. Of the collaboration, Adriana and Damien said, “Being able to give Ellie a total makeover was a great opportunity. To be honest, the day was really seamless and we were all on the same page. Smartbond’s groundbreaking technology is likewise coveted by consumers, influencers and hair stylists alike – who desire a colour change, minus the damage. 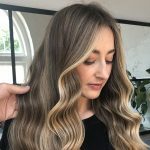 The service is a saving grace for those who once felt hesitant about changing their hair, and proves itself vital during salon hair colouring and lightening services.